We are experienced intelligent Russian tour guides in Washington DC and will provide you with the most interesting historial and architectural tour of the city. Please contact us at either numbers 703. 217. 6359 703. 532. 0477 or email us for reservations. Please write or call us in advance, so we can accomodate your dates of the tour, especially during the summer months. If we cannot help you, we will reccomend someone else. "Incredibly interesting informative tour and an absolutely charming and knowledgeable guide!" Boris is your experienced, intelligent, and charming guide from St.Petersburg, Russia. Knowledgable in both American and European histories, Boris will explain the hitorical connection of events with intriguing facts and wit. Svetlana is a professional tour guide of Washington DC and a former member of the Washington Tour Guild. Between her ten years working as a tour guide in St. Petersburg, Russia and her twenty years experience as a tour guide in Washington, DC she has exemplary skills –– full of knowledge, quick of wit, and always professional. Washington DC is not only the capital of the United States of America, but it is also a city with special status –– a city with different architecture styles, with government and residential areas both unique and diverse. We will introduce you to all of these colorful regions and you will keep this city in your heart and mind forever. In our five-hour tour, you will hear about both the history of the city and the country from its beginnings, as it arose on the Potomac River, through present day. We will stroll the streets of the city and see The White House, The Capitol, The Library of Congress, and The Supreme Court. You will stand before the scenic views of the Washington Memorial, the Lincoln Memorial, the Jefferson Memorial, and the Roosevelt Memorial, as well as, the unique Vietnam Memorial. We will visit the Kennedy Center– comprising three theaters in one building, as well as visit Georgetown – the old colonial port. In our six-hour tour, we also see Embassy Row and you will hear about "Golden Era" of Washington DC. and you will visit National Cathedral. 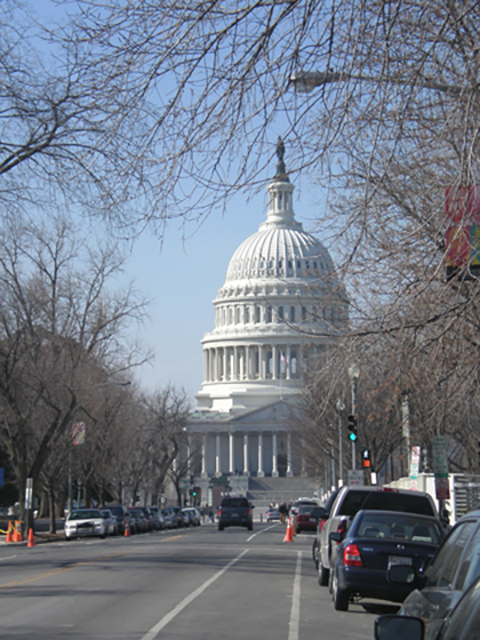 In an eight-hour tour you will visit the Capitol and the Library of Congress or Arlington Cemetary. If you are touring the city for more than one day, we can offer you a guided tour of the George Washington Estate in Mount Vernon, a stroll through the Great Falls Park in Virginia or Old Town Alexandria. Within each tour, we are very flexible regarding the tour destinations to ensure that your visit is both pleasurable and memorable. We recommend planning your visit between May through September, especially if you are planning an evening tour. We usually begin our tours at 10:00AM. Boris will pick you up or drop you off at any airport or railroad station and will assist you with registration. There is a possibility of any transport services upon request. Our transportation includes a new 2015 "Toyota Sienna" Van for seven-passanger groups.